Super Shoppers make up 18% of consumers but account for 70% of retail spend. eBay's Tanya Lawler explains how brands can target this group (credit card companies, stay back). Led by mobile, a commerce revolution is under way. How we shop has transformed, creating a powerful new type of consumer: the ‘Super Shopper’. Findings from a new major Deloitte study, commissioned by eBay, shows these spend-happy consumers make up 18% of shoppers, but account for up to 70% of total UK retail spend: over £200bn in 2013. Predominantly 25-44, working and in the AB social grade, these men and women aren’t constrained by geography or store opening hours: they shop anywhere, anytime, in ways which suit their busy lives. For them, shopping is less about location and more about engagement as their shopping blurs between offline and online. 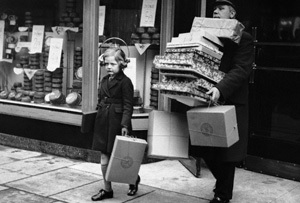 Maximise incremental sales – Online can complement high street sales. Our research shows that of the leading retailers who sell across multiple channels, over 95 per cent of non-store in the UK were additional to high street sales. That means that for every £100 spent with these retailers beyond the store, only £5 would have been spent in their high street shops. Essentially, there is a bit of the Super Shopper in everyone. We are all living busy lives and all want convenience, speed and choice. Customers are in the driving seat and pushing retailers for ever higher standards of service and greater convenience. They fully expect store and online channels to be joined up and have little patience if they aren’t. Harry Selfridge supposedly coined the phrase ‘the customer’s always right’. This mantra and the principle behind it still apply now – especially in the case of the Super Shopper.